The endless loop of nature’s cycle plays out in Big Bend National Park, Texas. There are three essential—and easy—chores necessary to maintain your blog’s good health. The unintended consequences of hiding are worth exploring, as I’m doing while writing my novel-in-progress. An 18-story tower arises from a humble print shop in downtown Austin. When things never stop moving, there’s an iPhone app for that. Required prerequisite for fiction writers: Embrace your dual gifts. 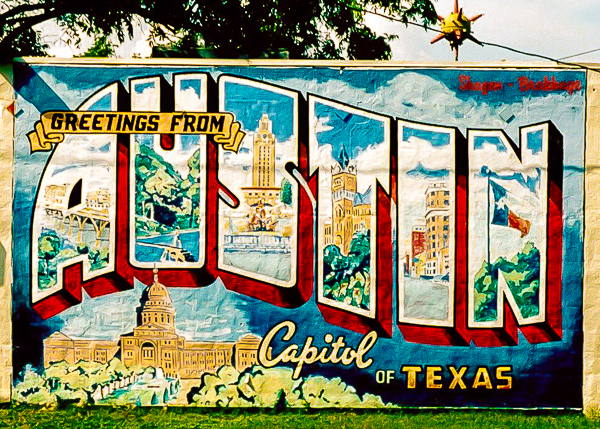 How does a beloved Austin music icon thrive for 25 years in a city on growth steroids? Photos of dogs and cats online are the internet’s joke to self. Except when the pet’s your own. It sways, it shimmers, it makes a magnetic shape-shifting tableau against a darkening summer sky. Early morning light has its devotees, but requires an exacting price. Is the coffee on yet? The sometimes mysterious behavior of flora we admire is hidden from view. Don’t suffer with the inadequate Wordpress.com Reader a moment longer. Here’s how to follow your favorites in Feedly. Take a walk and keep your iPhone handy, because there’s always another picture around the bend. Not every photograph can be a masterpiece. Sometimes marking the memory is enough. Why Kill Two Birds With One Stone? You can express yourself much more elegantly, and much less violently, with some alternatives to an antiquated idiom.